Associate Professor Anne Lowell of Charles Darwin University presented a series of three guest lectures at the University of Cologne on intercultural communication practices with Yolngu people of Arnhem Land from the 10th to 17th January, 2019. 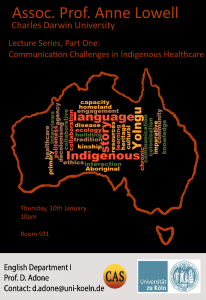 Communication Challenges in Indigenous Healthcare. 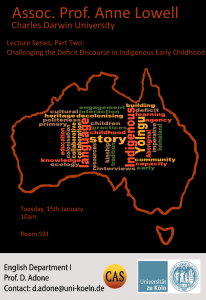 Challenging the Deficit Discourse in Indigenous Early Childhood. 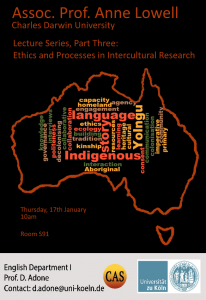 Ethics and Processes in Intercultural Research.